The Samsung DA29-00003G filter is a high quality filter that is used in Samsung refrigerators. The water that comes into your home can contain harmful impurities such as lead, cysts, chlorine, rust, and other particulates that affect the safety and flavor of the water and ice you drink. The DA2900003G water filter uses activated carbon to remove these contaminates, giving you healthier, better-tasting water and ice. 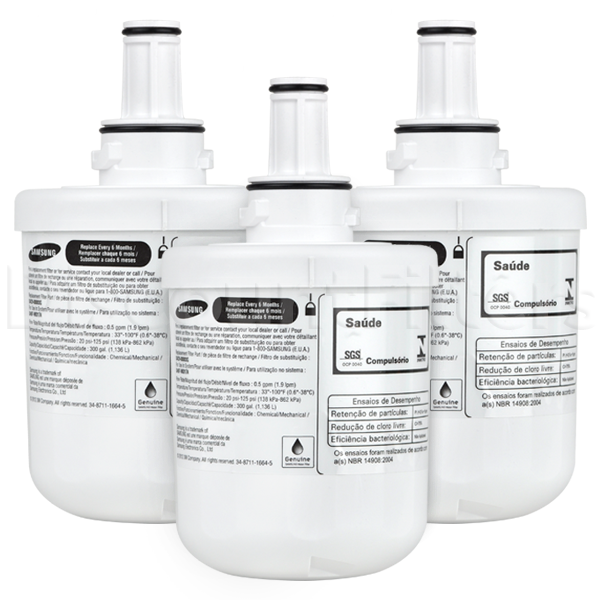 We carry three models compatible with the Samsung DA29-00003G water filter - the OEM Samsung refrigerator water filter and the ClearChoice CLCH103 filter. These filters are guaranteed to be compatible, and come with a one year guarantee and free shipping and returns on all orders. We recommend the ClearChoice CLCH103 model because of the lower price and guaranteed compatibility. And by the way the CLCH103 is made right here in the USA. Over time the activated carbon can become less effective at removing those harmful pollutants and you'll need to replace your water filter. 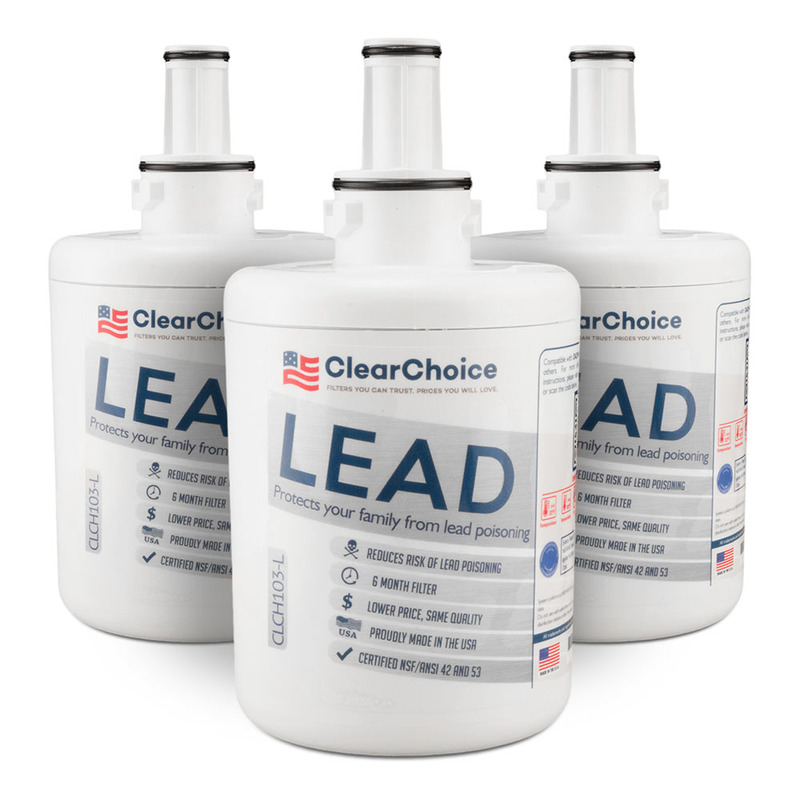 We offer cheaper pricing when you buy a three pack so you'll always be ready to go when you need a new fridge filter. All our discount refrigerator water filters come with free shipping and returns. Alternate part numbers that can replace the DA29-00003G are ES-1, DA29-00003F, DA29-00003B, HAFCU1, DA97-06317A, WSS-1, FMS-1, WF289, EFF-6011A and more. 90 compatible alternative filter models below. Marvel at the specifications of our DA29-00003G compatible filters. The DA29-00003G filter is extremely efficient at removing contaminants from your water supply. The OEM Samsung replacement has been tested and certified to meet NSF/ANSI Standard 42 and Standard 53, which means that is has been certified to remove chlorine and other contaminants from your water. The aftermarkets ClearChoice CLCH103 and EcoAqua EFF-6011A replacements have many of the same features as the OEM, but at a much lower, affordable price. 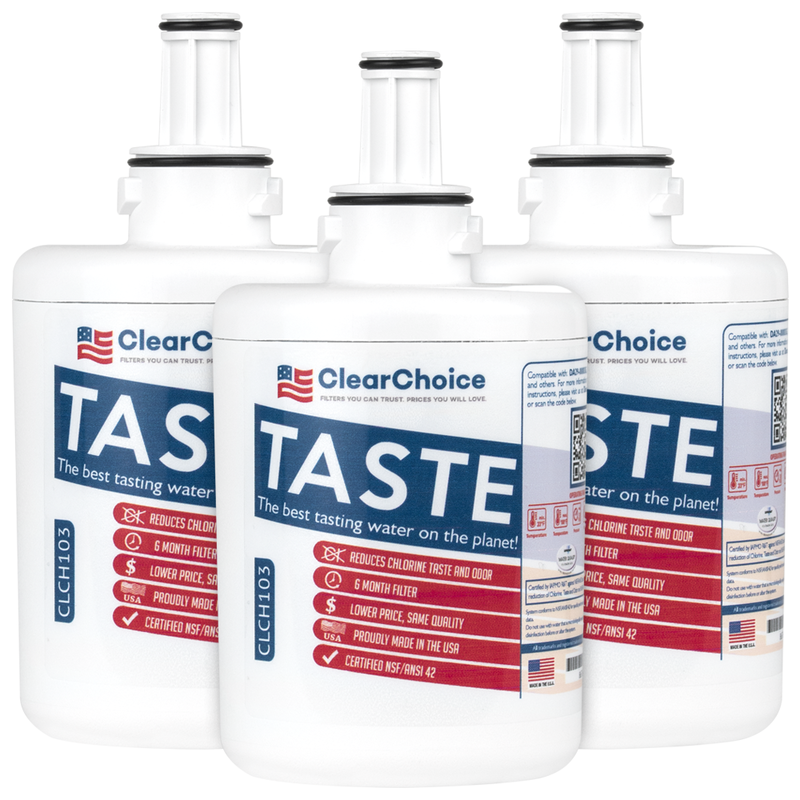 The aftermarket ClearChoice is the lowest priced option we offer and is our recommended brand. It is still just as effective at purifying your water as the name brand models. The primary difference between the OEM and aftermarket filters is price and NSF/ANSI ratings. Even though the aftermarket filters aren't NSF/ANSI certified, we still recommend them due to their affordable price and filtering abilities. Good value and we don't notice any difference between it and the original filter. Quick delivery. Very convenient process. I looked up my part number on the internet, ordered it, and it arrived a few days later. No driving all over town looking for the part.